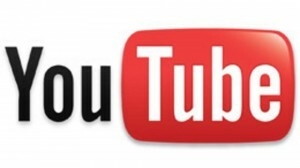 YouTube is partially and fully blocked in many different locations around the world. Access to the service can be cut for religious and political reasons, because of content rights issues, and because high traffic causes severe congestion. Whatever the reasons are, AirVPN can give users secure and anonymous access to the complete store of content delivered by YouTube. There are three ways to unblock access to YouTube. These three methods work in different ways and will give different levels of success. Depending also on your needs, you can choose the ones that suits you best. First, you can use a proxy website to reroute your connection. Once on the website, select a server from the options, enter the URL of the video you want to unblock, and you’re ready to go.This works for geolocation restrictions. Using a proxy IP address in the allowed country will make YouTube think you are in that country. They will therefore let you open the website. Proxy servers are always changing because they get tracked and blocked, so you may have to find a new one every time you want to watch YouTube. You will also have to frequently change your IP when the networks become congested. Free and cheap proxy services get a lot of traffic and the bandwidth is often not enough to stream videos properly. Because they can be tracked, proxy IPs are also not good for unblocking from countries that have censored Internet. It is also dangerous because the user’s real IP address can be revealed if the proxy IP is under surveillance. Second, you can use a public USA IP proxy. On your browser, you can route your traffic through a proxy server. Enter the IP proxy address and port number into your browser’s network settings,and you can go to YouTube under that IP address. You can configure one browser for this and use a different one for regular surfing. These proxies work much the same as proxy websites, so the same difficulties and dangers can be encountered by users. The third option is to use a VPN service. Through a VPN, users can maintain a private connection to a VPN server of their choice. There are free and paid VPN services, but of course the free services do not offer the same quality of privacy, anonymity and security that the paid services do. The leading VPN service providers offer packages that guarantee unlimited bandwidth and speed to users. The connections are reliable, and the servers offer added malware protection to users. A VPN can furthermore unblock all Internet enabled applications like those used for instant messaging and social media, so it is not just for websites. The VPN also secures all types of traffic, not only for unblocking services. A good VPN will protect users from being tracked, monitored, and hacked. You can use the VPN on any device you own, so what you are paying for is actually all-around security, privacy and anonymity while taking advantage of fast speeds and reliable connections for streaming and all your other Internet activities. AirVPNis a leading VPN service that provides users with safe and private IP masking to open up user access to blocked content. Please read our vpn reviews and visit the top 5 providers for more information on the leading VPN services that suit your surfing needs and your budget.